Over the phone the request came: "I want you to come to facilitate a fearless conversation for us." It was easy to pick up the angst and distress of the caller - a leader in a relatively new and highly respected organization. To tell the story, let's call the leader Jerry. Evidently, there are a number of complicated issues that Jerry and his colleagues have tried to handle via emails back and forth. Now a whirlwind of miscommunication, misinformation and misunderstanding is threatening the organization's direction and effectiveness. Despite some apprehension and ambivalence, Jerry reached out to the other core leaders to request having a facilitator help them talk about the communication mishaps, identify learnings that will support their effective functioning and to make some agreements to implement those learnings. The response has been affirmative, but also mixed with disappointment that a few key players have said they are not coming. Suffice it to say, there have been some stops-and-starts in getting a meeting set up for maximum participation. Jerry and I have talked about how it's best, all things considered, to go ahead with whoever will be there. I will be going with the belief the conversation will be "somewhere to begin". 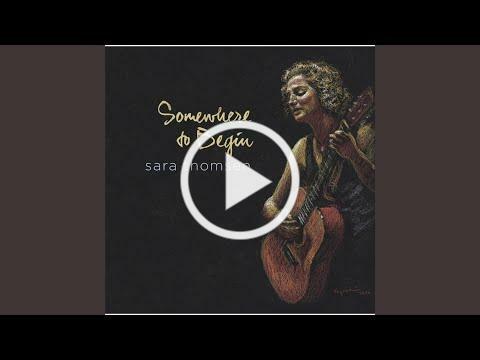 Have you heard the song "Somewhere to Begin" sung by Sara Thomsen? If you haven't, I hope you will listen. A friend shared it the other day and It has become a kind of "theme song" in me talking to Jerry. When we get off track or off center like this organization, it's common to try to ignore or work around the challenges. That doesn't work in the end. 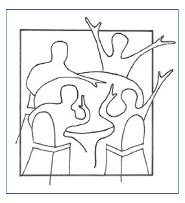 A conversation is somewhere to begin - begin to restore communication, confidence and connection. A conversation is somewhere to begin to replace fears with trust, judgments with curiosity, alienation with reconciliation. 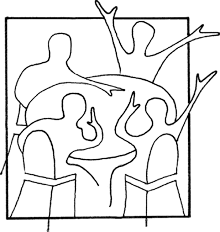 My facilitation will not be about problem-solving; it will be more about helping the participants grab a strong hold on who and what they have set out to be and getting back on track with one another. No one knows how this particular conversation will turn out, but I'm inclined to guarantee it will be, at least, a good beginning. 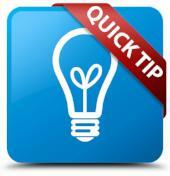 Someone will offer information opening the way for clarity in the midst of confusion. Someone will check out his or her assumptions opening the way for participants to see things they haven't seen before. Someone will ask: "Can you help me understand what you mean? ", opening the way to appreciation rather than judgment. Someone will make a request to meet a need opening the way for positive action. At the very least, this fearless conversation will be somewhere to begin. It will "make a difference in the end"! that it is intended to take away suffering, discomfort, or whatever is painful for another person. Our purpose in offering empathy is to let the other person know we are with them in whatever they are going through. It is easy to begin to think what we would like the other person to feel; as soon as we do that, we shift our attention to ourselves instead of the person with whom we want to empathize.